I was very keen today to get out and try some of the Skretting Pellet Paste I had made the previous evening. 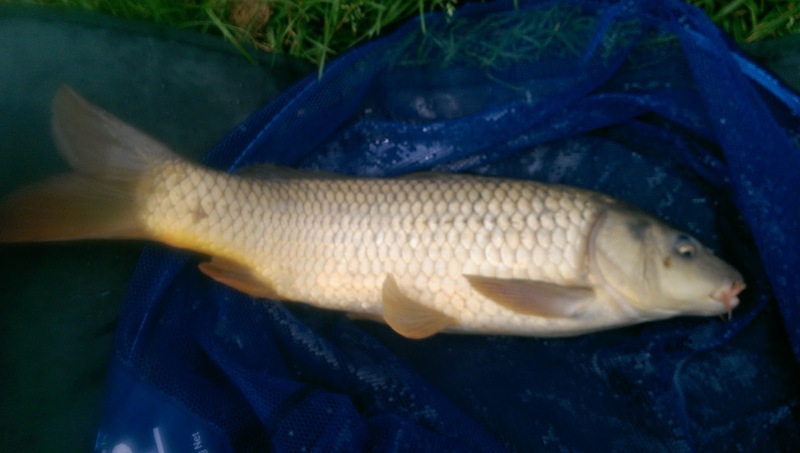 I was under no illusion that today was going to be aimed solely at Carp. 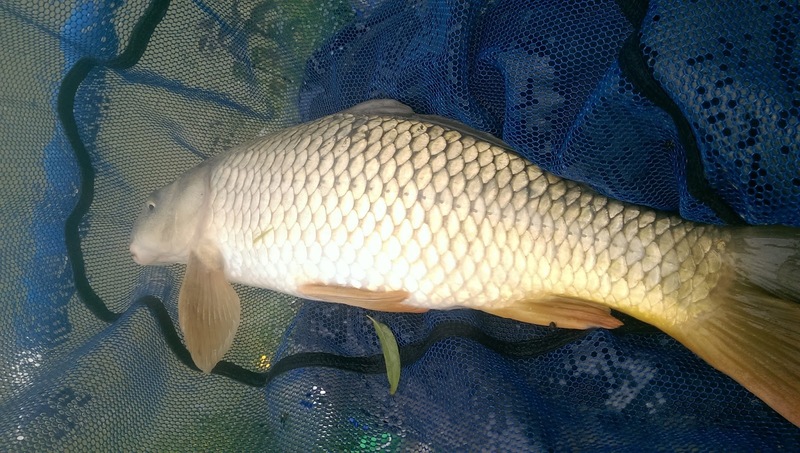 Normally I start off on the silver fish and then work my way up to Carp unless my bait gets intercepted along the way. 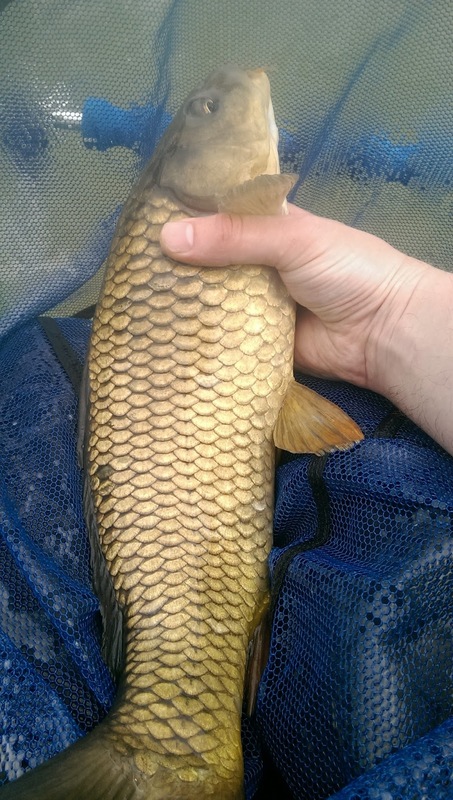 Normally it’s purely from a “what species does this lake have in it?” perspective, but having visited Mangerton very recently, and knowing full well that the place was absolutely stuffed to the brim with Carp I decided on an all out Carp attack. I had made my rigs the previous evening and after arriving early (this time with the correct money for the honesty box) I made my way to a peg on the right hand bank, and before I had even stopped my trolley I could hear Carp slurping away on the surface. 14 and 16 Elastics – Pre-weighted Paste float on 6lb Middy Lo Viz Crystal to a Preston PR478 size 12 Hook. You could pretty much land a Whale on this gear. Plumbing up, this side of the lake was significantly shallower than the other, with margins coming in at just over 2 feet. Once I was completely set up to one of my top sections, clipped on a pot and dropped in a few 6mm before capping it off with the lump of paste and slowly shipped out. It is quite important when using Paste to keep it up and away from the water until you need to drop it in, otherwise you risk it dropping off, especially if you use a sloppy mix. I would be fishing relatively close in with 2+3 (to be honest I find fishing Paste any more than 9 – 10 meters very hard work). I lowered the pole tip, rotated the pot and dropped in my lump of paste. 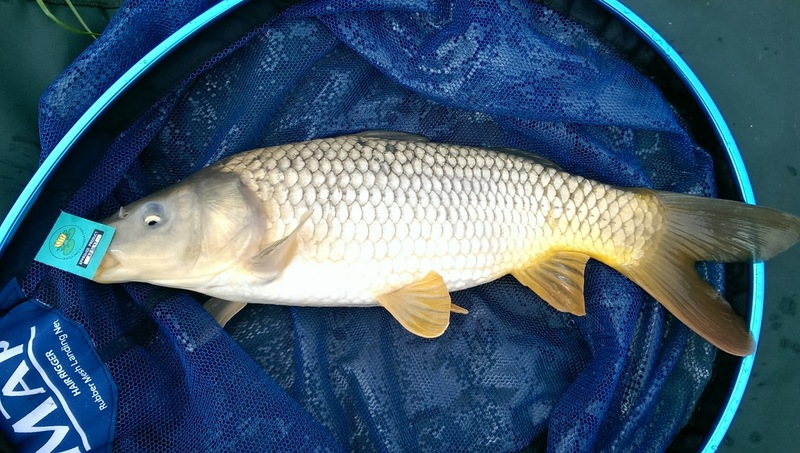 Paste fishing varies from normal pole fishing in a few ways because, you don’t strike at every indication like you normally would fishing a maggot, worm or pellet, you strike when the float fully submerges, and not before. Also you strike straight up and relatively aggressively in order to pull the hook through the paste an into the fishes mouth. 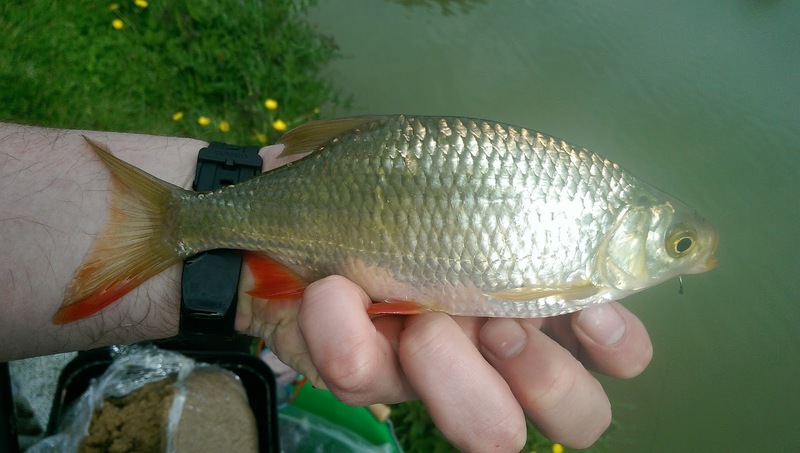 Furthermore, once you’ve missed that bite generally there is no seconds chances, that bait is well and truly off the hook so you need to ship back in and re-bait your hook. When you actually consider the mechanics of paste fishing it is slightly barbaric. The strike is also the reason the fish usually go off like a train, which is exactly what happened to me within 40 seconds of my paste entering the water. The float bobbed up and down and then fully submerged, at which point I struck straight up and watch elastic pull straight back down into the water. 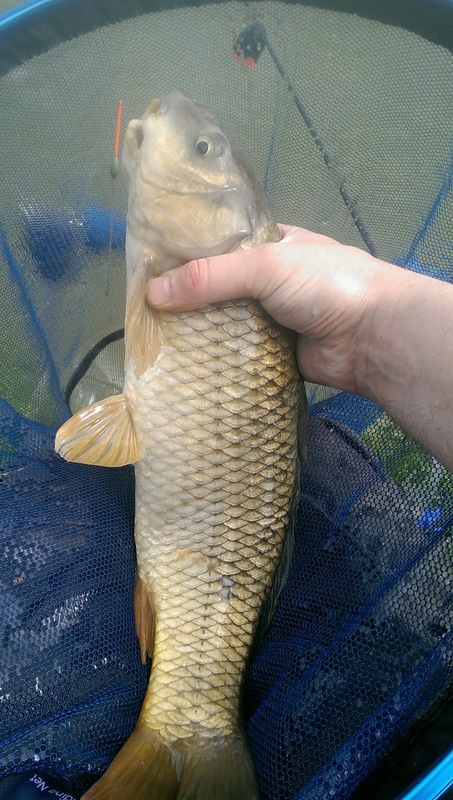 A lovely Common just over 4lb. This was quickly followed by another fish around the same weight roughly 2-3 minutes later. 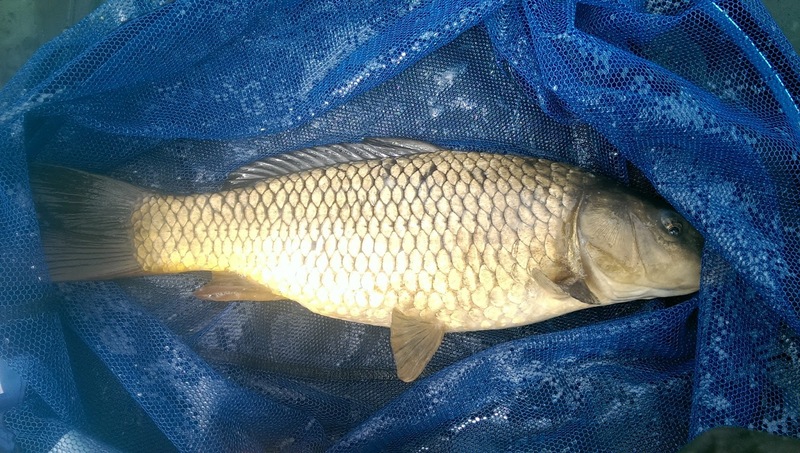 It was almost none stop action undisbursed with very greedy Roach and Rudd. 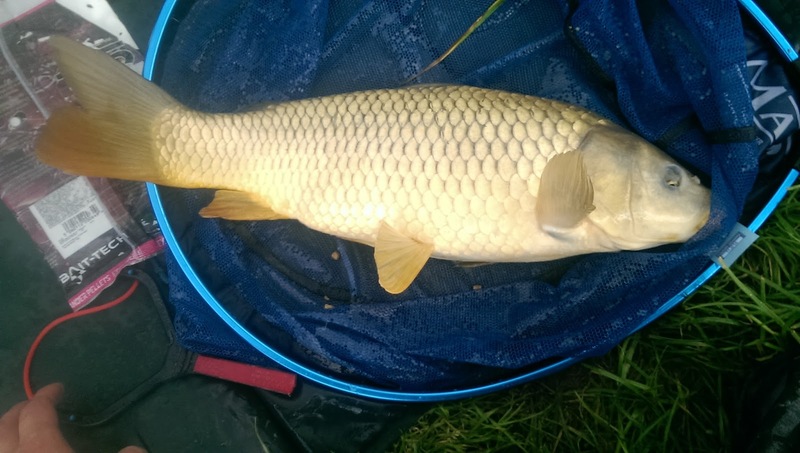 After 4 hours (9.30 – 1.30) of fairly solid fishing, my Carp totals were as follows. 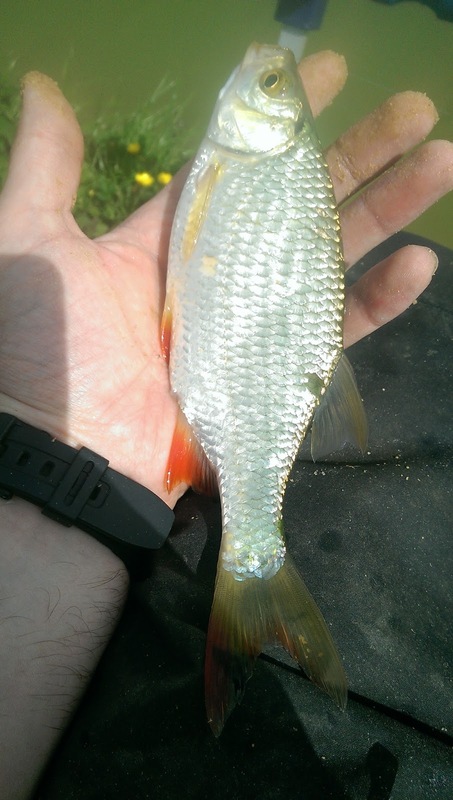 Here are some of the fish I managed to catch when fishing this devastating method. You can see some of the threw up some of the pellets they had been feeding on! Use a strong line and fish all the way through. 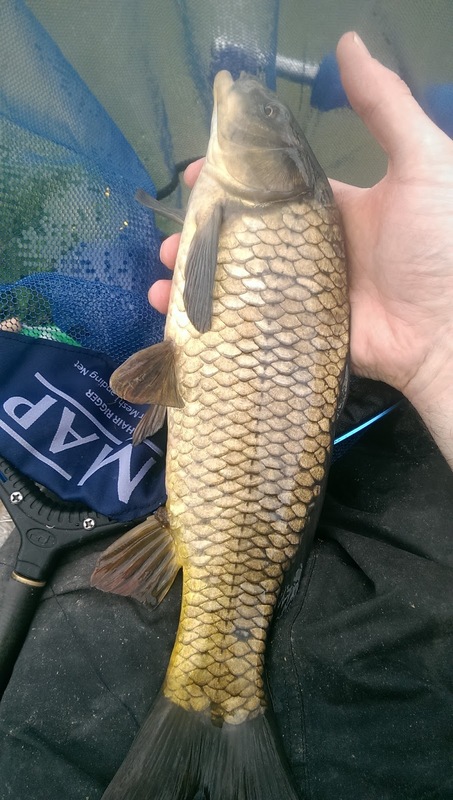 I was using 6.0lb Middy Lo-Viz. Use a big and strong hook with a wide gape. I used a Preston PR 478 but have also used Maver Eagles and Kamasan Animal hooks. Use a long bristled, self cocking paste float. Make sure you have a clip on Pole pot. Depositing your paste into the pot is essential in shipping out your paste and keeping it on the hook. Keep plumbing the depth. I plumbed the depth of my swim every hour. 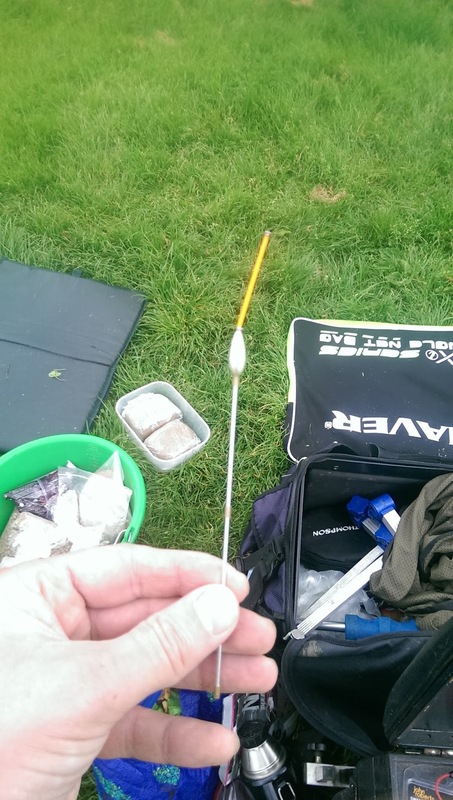 A build up of paste on the bottom can take a few millimetres off the depth of your swim and when paste fishing you need to be fishing dead depth. Why not give this lethal method a go yourself? Next stop for me Avalon! Great article! I will need to try paste myself, I've not yet tried my hand with it! And I loved the 'all out carp attack' attitude, brilliant! Previous story Pellet Paste made easy!